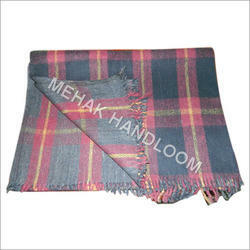 We are a leading Manufacturer of shoddy check blanket and duble face shoddy blanket from Panipat, India. We are profoundly instrumental in giving a far reaching cluster of Shoddy Check Blanket. Designed utilizing amazing fabric sourced from vendor’s of the market, these blankets are extensively acclaimed in the business for their perfection. 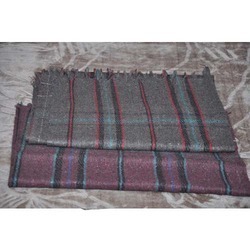 Our blankets are examination examined on distinctive parameters by our quality controllers. Offered in changed colors and sizes, we give these blankets according to particular needs of clients at absolute bottom costs. Encouraged by redesigned hardware and present day innovation at our ultra-advanced assembling unit, we are putting forth a noteworthy quality Double Face Shoddy Blanket. While designing, we utilize the best quality material and prevalent innovation in agreeability with the global quality benchmarks. Apart from this, we deliver the blanket in the wake of testing it legitimately upon different quality parameters to guarantee perfection. Patrons can profit the offered blanket from us at industry leading costs. Looking for Shoddy Check Blanket ?